The producer, composer and DJ of Indian-inspired electronic music known as Latrama has released “Jaipur.” It contains eight original dance tracks for an approximate total listening time of 40 minutes. The release has been proudly published on the Chandra Sound Records independent music label without the direction of the corporate music industry. 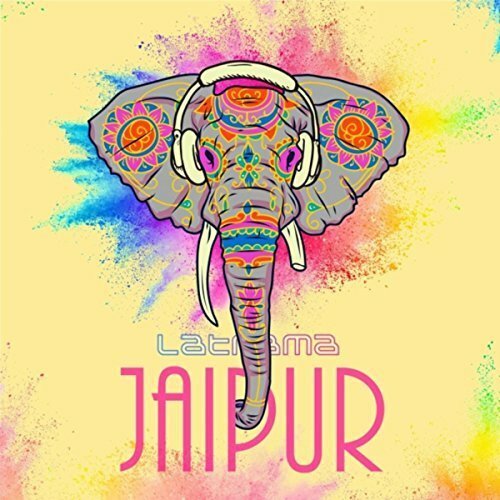 Upbeat, exotic, and suitable for listening on headphones and dance floors alike, “Jaipur” by Latrama represents some of the most uniquely colorful EDM 2018 has seen yet. In addition to the talents of Latrama, himself, “Jaipur” also features a remix by Miom, two remixes by Tapiador, and a special, exclusive collaboration with State of Bengal, “Smiling Tea.” “Smiling Tea” represents a gifted tribute to the art and memory of State of Bengal, who passed away three years prior. Latrama himself, a producer, multi-instrumentalist and DVJ, has been called “one of the key global mixers of traditional Indian and world music sounds with electronic breaks.” His fans know him as a familiar face appearing at his various DJ residences, live performances, public radio, TV ads and reels, music conferences, underground clubs, large festivals, and in collaborations as an Indian tabla player or remixer. He has performed in Madrid, Berlin, Mumbai, London, Barcelona, Lisbon, Beijing, San Francisco, Luxembourg, Amsterdam, and a great many other locales. “Jaipur” by Latrama is available from over 600 quality music stores online worldwide now. Get in early, electronica fans.